Ladies and gentlemen, Children of all ages, May I have your attention, please?!?!?! As noted over the last few years life has demanded a significant amount of my time in various pursuits and this will only get worse in the coming months as I head back to school for my Master's Degree. The current Co-admin and Moderating team have done an amazing job keeping the site alive, inviting, and free of trolls and other internet nubs. In order to ensure that there are enough Admin level supports for the team, however, I felt it was time to bring a moderator up from the ranks to the Admin level. After some discussion, We decided that khj would be a good fit and a complementary force on the team. Please congratulate him on his new position as Co-Admin here at Stamp Bears. All seriousness aside . . .
Congratulations, khj . Ticker-tape parades are a thing of the past, so we'll have a selvage parade for you. You have earned a reprieve. Thanks, Tedski! Congraulations khj, do you now get a pay rise? [quote author="khj" source="/post/143658/thread" You have earned a reprieve. Thanks, Tedski! You are most kind and merciful, your k-ness. Negotiating for an extra each month. That's an increase from 0 to 1. Not very optimistic about it, though. Congratulations khj, and thank you for all you do for this forum. Thanks Bear, guyana1230, and crazyquilter (I already thanked youpiao). Didn't leave out anybody, did I? If I did, probably wasn't anybody important. khj, congratulations! There is now a triumvirate...a third power broker to keep the other two in line....especially kacyds. It has occurred to me that with kacyds, this may be more than I initially considered -- looks like a 3 job! khj Thank you for being willing to take this on. Just remember to keep the unruly ones in their place. I rely on you to keep kacyds under control. Thanks michaelcayley. It's a tough and dirty job, but someone's got to bear-wrestle him! Thanks michaelcayley . It's a tough and dirty job, but someone's got to bear-wrestle him! 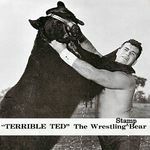 Terrible Ted, the wrestling Stamp Bear. 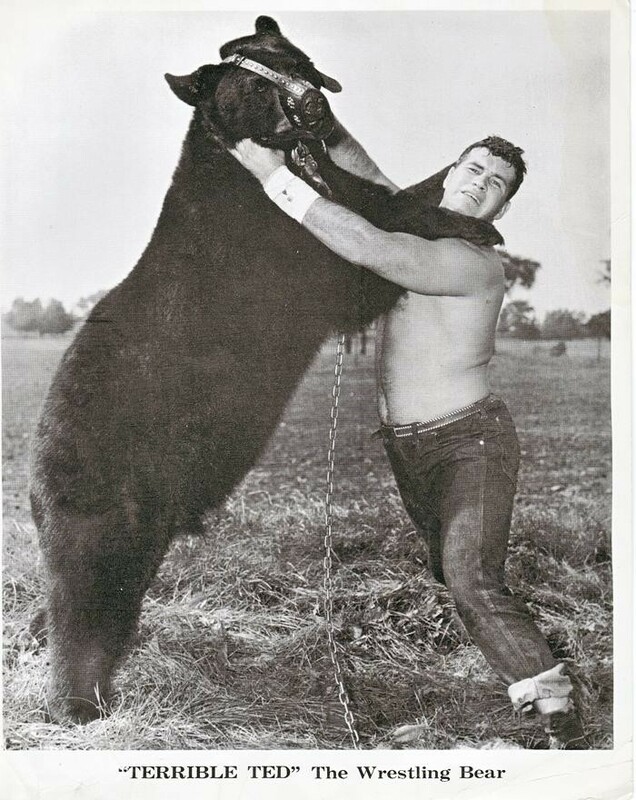 Tedski, who is the guy on the right that you are wrestling with? Congratulations khj,! I think the forum will only benefit from your involvement! That's some dealer who tried to pass off a regummed stamp as MNH. Grrrrrrrr!! !